We live in a difficult and despairing world, and many of us understandably seek to settle for the safety and familiarity of an established lifestyle. We often close our eyes and ears to devastation in the lives of people around us, be they family, friends, or neighbours. The purpose of Shipwrecks & Islands is not just to provide food for thought, but to offer comfort to those who are experiencing times of trial. It is also an encouragement to those who might be able to help, yet have forgotten that simple words of encouragement and the smallest grains of faith and love can make a world of difference. 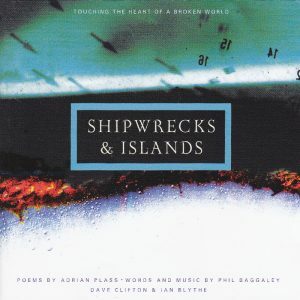 From the same writing team as the City of Gold recordings, this album features the poetry of Adrian Plass, and the music of Ian, Phil Baggaley and David Clifton.